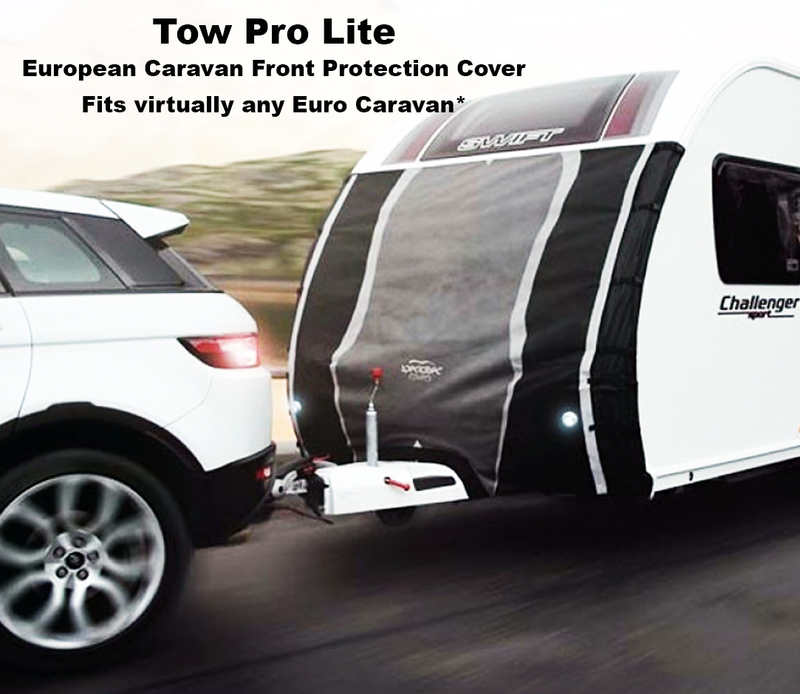 New to the Australian market is the Tow Pro Lite universal towing protector, this quality made full frontal cover is predominately made for ALL Euro caravans fitted with two awning channels (one on either side) with openings, you will also need the front of the caravan to be no wider than 2.5m, a comfortable fit for the majority of Euro vans imported or sold within Australia. The Tow Pro Lite is easy to fit and quick to remove! T-Fit system that allows you to use the awning channels then fold in the cover to fit. The fabric used is a waterproof and breathable fabric which is fleece backed and designed to withstand small stone chips and dirt from impacting on your caravan. The cover is made in the standard black and grey colours to ensure it looks good on your caravan during transit. Making sure you are road legal and can be seen whilst travelling during the day or night push-in fitted LED eye lights and also reflective strips have been fitted on either side of the cover to make sure you’re safe and towing legally. You can also easily custom fit the supplied light rings to allow your standard caravan lights to shine through as shown in the pdf fitting guide. 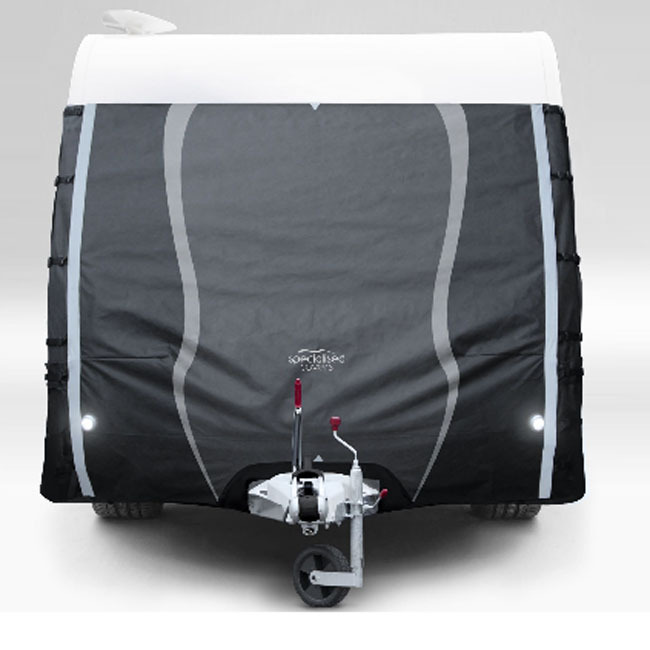 To ensure the Tow Pro Lite fits a range of caravan styles and shapes, a frame hugging waterproof seal has been added to fit around the A-frame, this prevents dirt from getting under the cover. The Tow Pro Lite has a soft fleecy backing to ensure your caravan is not scratched when you’re towing. The Tow Pro Lite will come in its own breathable storage bag. Fold it up like you would a map and, even if it is damp, the cover will breathe when any damp turns to vapor whilst in the bag.